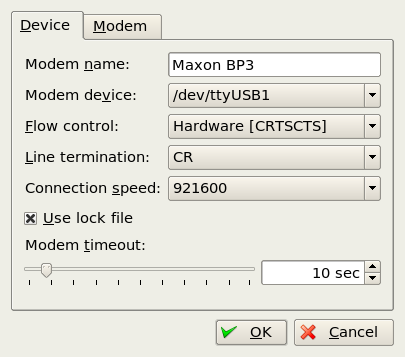 Scope: Linux with Maxon BP3-USB, or BP3-EXT modem. This page documents early investigations into the "new" 3G modems, but these days Linux distributions have all this built in, so you only need to know this stuff if something doesn't work and you need to figure out why. Since all this work was done, the Linux distributions have been busy making this so much easier. 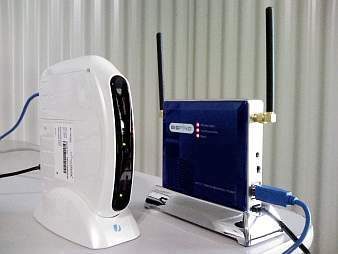 As an example, Ubuntu 9.04 recognises these modems when they are plugged in, and the NetworkManager application is launched to configure them. Announcing version 1.0 of the Eee PC Maxon BP3 connection program. I need other people to test it and tell me if it works for them, and if it does not work then spend time talking with me by telephone, e-mail, or forum. It is very bare metal stuff at this stage, it could really do with a window. My patch was accepted. 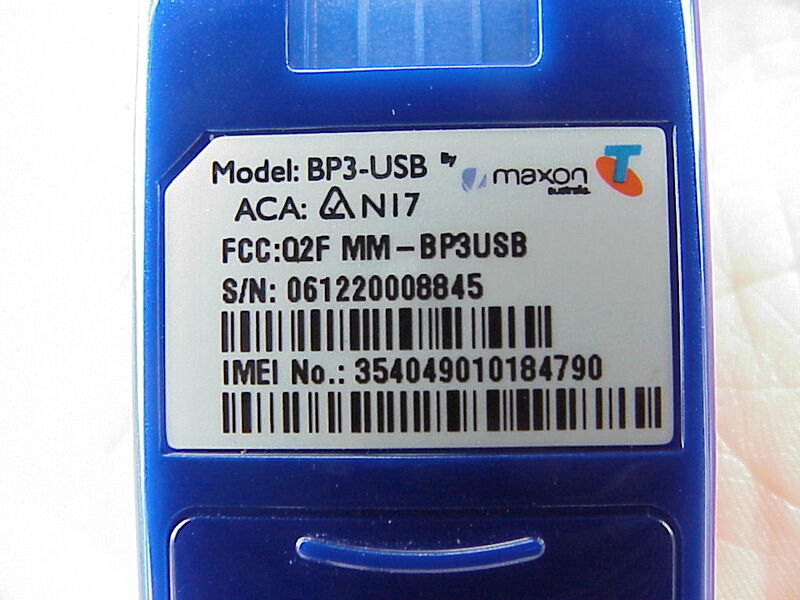 With the release of the Linux 2.6.25 kernel, the Maxon BP3 USB IDs have been added to the option driver, and so the kernel will recognise and load the right driver when the BP3 is plugged in. For other changes to the same driver between 2.6.24 and 2.6.25, see this patch extract. I've attached a watt-hour meter, one of the Silicon Chip kits that has a microcontroller and an LCD display. The docking station draws just five watts, with no modem attached. That means one can calculate the total cost of ownership based on your electricity price ... and decide whether to buy one instead of using a spare computer. The Ethernet Docking Station does indeed run Linux, and contains a modified USB ACM driver that ignores the attributes claimed by the modem. Fascinating. For the technical details, see the dump of data. Even the OLPC XO-1 works with this modem. Used usbserial and it worked at top speed, so the pre-queued URBs technique must have reached it. This means that usbserial remains a viable driver to use. 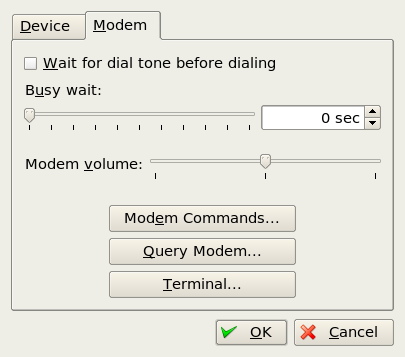 However, the non-standard modem control line behaviour makes it difficult to reliably get the modem to wake up again after disconnect ... so a better driver is still needed. Greg Kroah-Hartman advised that the usb/serial/option driver is more suitable, and I've tested on Ubuntu 8.04 beta and it works fine, at full speed compared to usbserial. Results in the kernel creating /dev/ttyUSB0, /dev/ttyUSB1 and /dev/ttyUSB2. The /dev/ttyUSB1 is then used with pppd. Maxon sent me an Ethernet Docking Station "Ethermax" device. Plug the modem into one side, plug my network into the other side, and now they have taken care of making it work on the Linux 2.4.x of the Docking Station. Neat. Sensible web based UI, plus some fantastic features. Why did it stop working? Has anyone else had this problem? The last successful connection was on Friday morning, and the subsequent attempts resulted in a timeout waiting for an IP address to be assigned. Nothing had changed at my end. Solution was to use *99***#2 instead of *99#, but I wonder why? Requires the usbserial or airprime kernel module, appears as /dev/ttyUSB1, uses the AT command set just like other modems, and works fine with ppp. 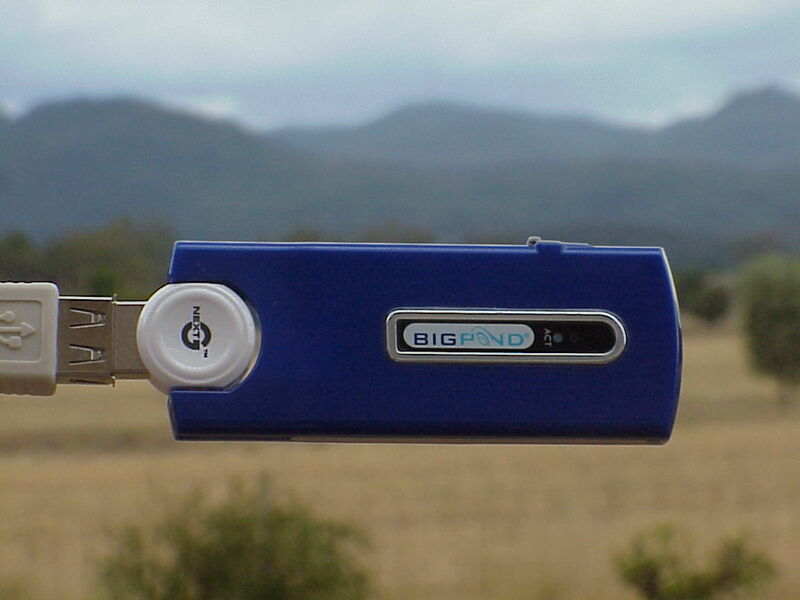 Tell it to dial *99#, use user@bigpond.com as the username, and give your password. 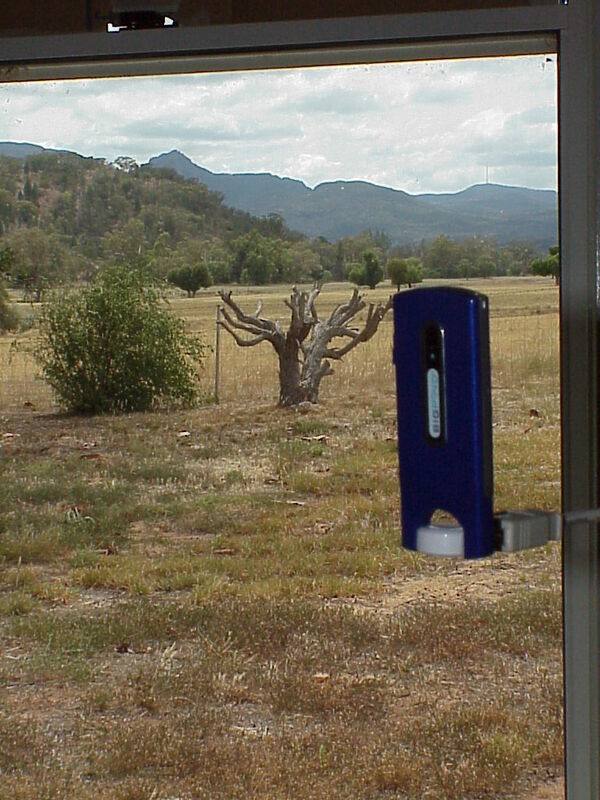 move to a location with signal or add an antenna. The recent firmware upgrade to the modem which provides 7.2mbit/sec burst performance wipes the profile settings on the modem. The software provided by the vendor probably restores them on next connection. But on Linux this has to be done manually. Yours may respond differently, according to your contract. The Python script below can be used to binary patch the USB ID table in the Airprime module on recent kernels. Testing is not yet complete. If you test it, please let me know what happens! 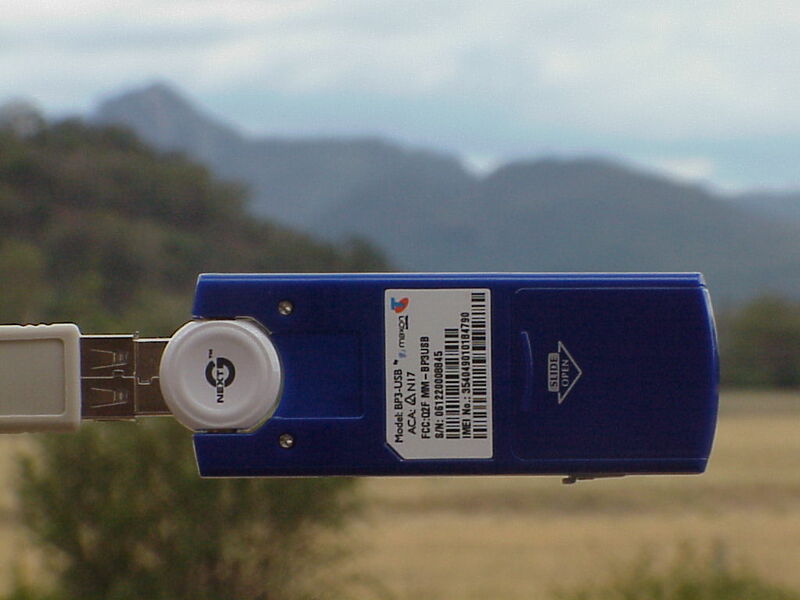 There is a false belief that a remote IP address for the link needs to be known. This stems from an assumption that the link operates with MAC addressing. This can be disproved with tcpdump or wireshark, the remote IP address is never seen on the data stream once IPCP completes. Packets transmitted over the link have the target IP address. If it was operated as Ethernet, it would be quite different ... with shared media links the Ethernet encapsulation has to have a destination MAC address that corresponds to the router through which the packets are to be forwarded. So a packet is Ethernet-addressed to a router, but IP-addressed to the target. The router receives the packet, readdresses it in the Ethernet headers, and forwards it on otherwise unchanged, unless it has to do NAT. I've heard and seen that Windows systems show point to point links as if they are Ethernet adaptors ... and I shake my head in confusion. Linux point to point links are different: the remote IP address has no use, and I find everything works fine without it. When IPCP does not determine a remote IP address, a gateway address is available, if we're willing to do some strange stuff to find it. While I don't need this myself, others have asked for it. They haven't been able to tell me why they need it, see my rant above. Anthony Wesley has contributed a script to demonstrate, but note that the script also includes usbserial configuration, rather than airprime patching. Monica & Dany's problem has begun to affect me. The carrier's servers are not willing to provide an IP address, and so IPCP loops requesting one. Things tried ... novj, noipdefault, noip, ipcp-accept-remote, ipcp-accept-local, and setting an ip address manually for either end of the link. Dany tells me the solution is to use a different number, provided by Bigpond wireless technical support. I'm asking Maxon about that. Standby. Update: IPCP oddness, and transproxy lagged? Two people have written to me (Monica & Dany) reporting a strange problem that seems to relate to IPCP, but I've not yet diagnosed their logs or answered them ... sorry, I've been busy ... but if you have a similar problem, please let me know. Also, it seems Mondays are a bad morning for web surfing with this service ... on the 15th, 22nd, and 29th, the service seems very resistant to completing web page viewing. Other aspects of the symptom are that some sites work fine, but some do not. 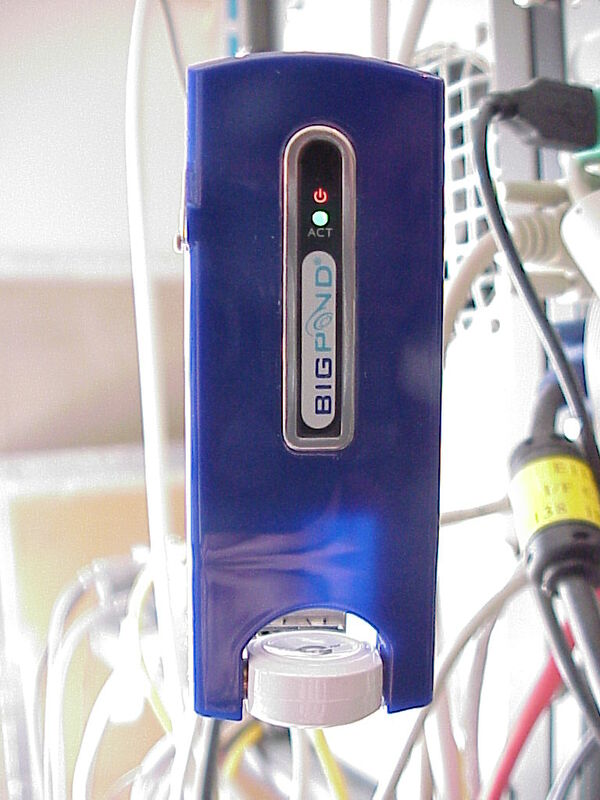 A ping of bigpond.com yields 50% loss, every odd numbered packet is not returned. I've already found that the HTTP requests from the service to the internet are translated to multiple IP source addresses ... that is if you are seen by a web server from one particular IP, the next time you load the page chances are you will be seen as coming from a different IP, but in the same general range. To me this suggests a distributed transparent proxy ... and one of the paths goes bad. Again /dev/ttyUSB3 is the device to tell pppd to use. I've learned that the chipset used is similar to the Sierra Wireless AirCard 875, which is supported in kernel 2.6.19.2 already. The existing sierra.ko module does not detect the device. So I added the device vendor ID and product ID to the sierra.c source, rebuilt the kernel, and now it works to 3.6 megabits per second. You will get /dev/ttyUSB0 through to /dev/ttyUSB8 created, but it is /dev/ttyUSB3 that should be used. I may work to figure out why. Here is the patch. I've sent it to the driver author. 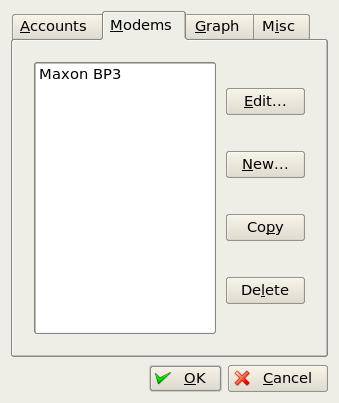 After becoming the focal point for Linux support on another Maxon product, Quozl was lent a Maxon BP3-USB to try out on Linux, and document what is needed to make it work. 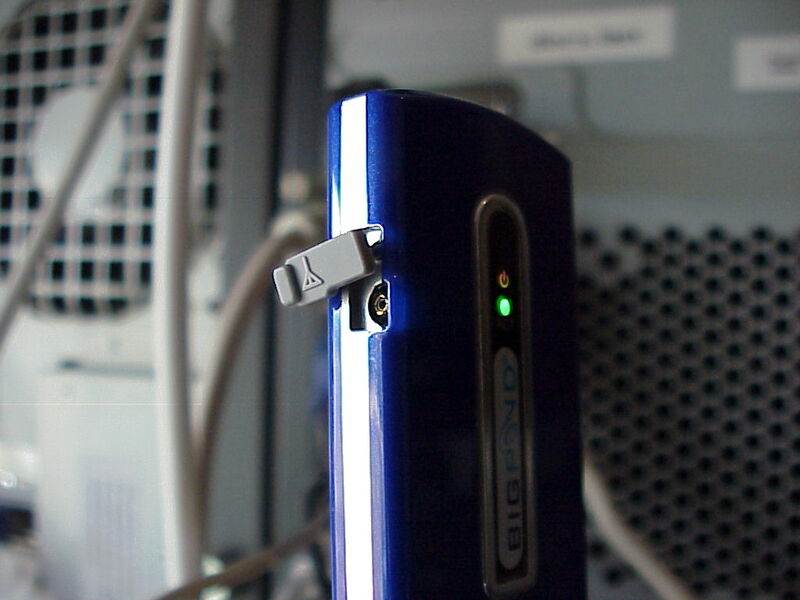 The modem has a USB series "A" plug and an antenna socket. The firmware claims USB 1.1 specification compliance. No USB logo is present. The lsusb output (see end of page) implies that CDC ACM is not supported. The modem may not be immediately recognised by the kernel, because the vendor and product code are not in the list. Until that is fixed, use usbserial. Quozl has submitted a patch for usb.ids. connect modem using USB cable. iManufacturer           1 CMOTECH CO., LTD. Note that three device nodes are created, only ttyUSB1 was found to respond to AT commands. The purpose of the other two nodes remains unknown. in the main window, select the account you created in the Connect to list, and if the Use modem list is present, select the modem you created, set the Login ID to linux, and the Password to linux (they are ignored), then click on Connect. This created two configuration files, /etc/ppp/peers/name and /etc/chatscripts/name, where name is the name you set for the connection. Start the connection the first time using pon updetach debug dump. This generates lots of information, just in case something goes wrong and you want to work out why. It isn't necessary to do it every time. 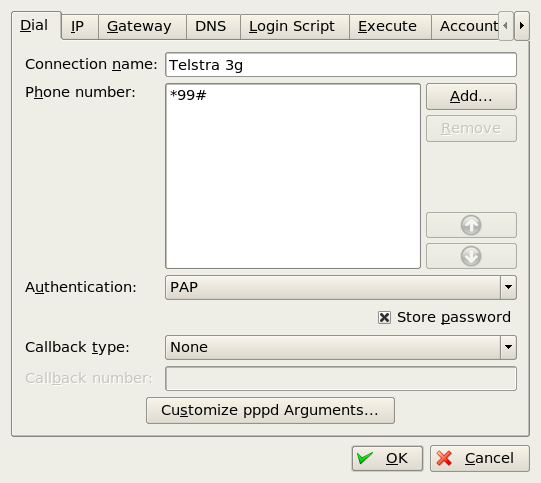 The updetach option makes PPP wait until the connection is established before finishing the command. The debug and dump options are described in the manual page for pppd(8). Test internet access, e.g. using a web browser or mail client, and when you're finished turn it off using the command poff. If it all worked, in future start the connection using pon, stop it using poff. Information as at 2nd January 2007.
varying rates by hours or total data, top plan is $AUD 67 per gigabyte up to three gigabytes, then $AUD 307 per gigabyte excess. If you'd like to contribute, please see the separate Feedback Wiki. Use the Login link to create an account on the Wiki, then edit the page to add anything on-topic. You can also subscribe to the page so that you receive changes, or add the RecentChanges RSS feed to your aggregator. Quozl and others will remove off-topic information, or edit the contributions so that they are succinct. 2008-01-16 Add instructions for making the insmod happen each boot. 2008-01-15 Add replacedefaultroute. Fixed the 2006 dates in this log to be 2007. 2007-06-02 Added a rant about the remote IP address of the link not being needed. 2007-04-24 Replaced the sample log with a recent working example. 2007-03-06 Paul Gampe reports the alternate number does not work for the IPCP problem in his case. 2007-03-05 Reworked initial summary, and tabulated known problems. 2007-01-31 A workaround for obtaining an IP address is reported, using an alternate telephone number. 2007-01-29 A problem obtaining an IP address is reported. 2007-01-25 Author of Sierra Wireless module says to use the airprime module. 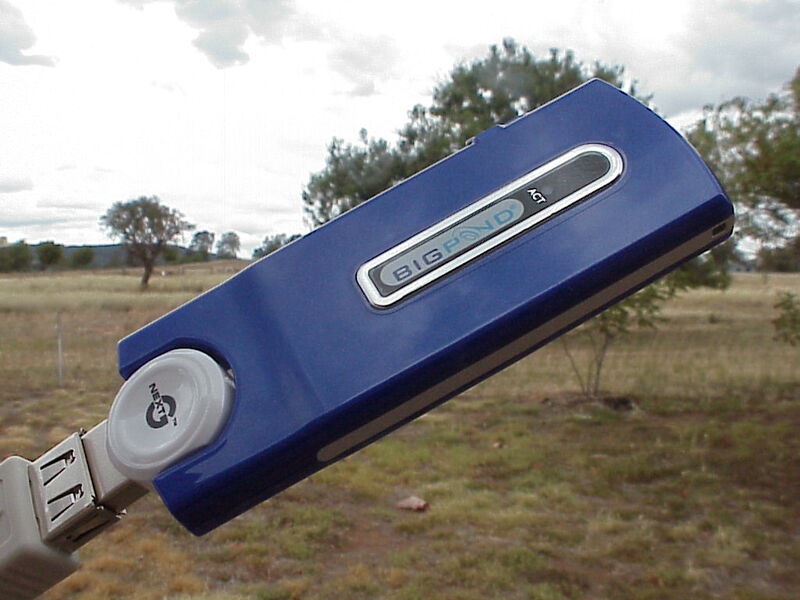 2007-01-24 The Sierra Wireless module is discovered as one solution to the low bitrate problem. 2007-01-12 Username and password normally required, but my test USIM did not need it. 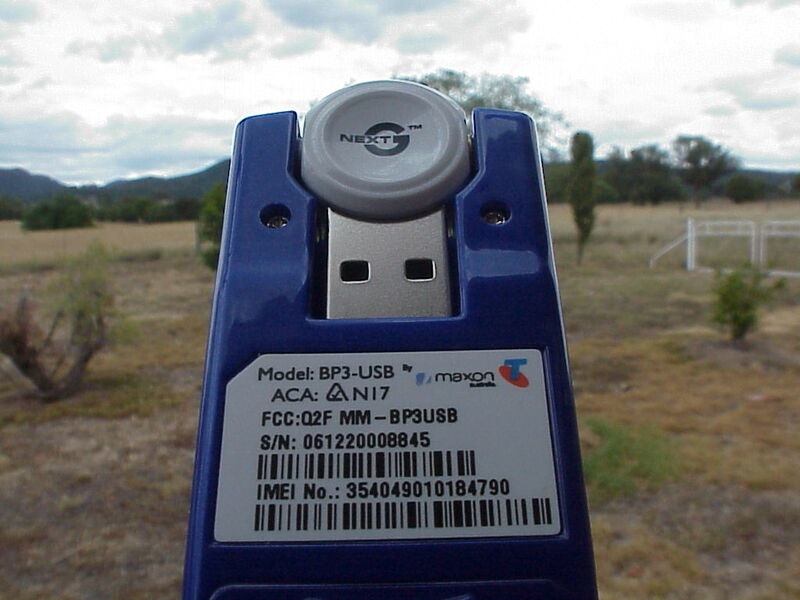 This sample log was taken using the BigPond Broadband Wireless service on a BP3-EXT modem on 2007-04-24. 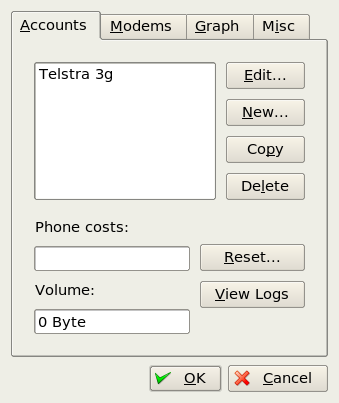 It differs from the previous sample log which was on the Telstra test service.